Maybe it’s because we’re closing in on d-day (4 weeks until my due date! ), but I’ve been doing a lot of reading lately. I’ve been so lucky to get some incredible galleys of books that I may not have a chance to get to once little brother arrives, and they’ve been making me so happy. And because I want to pass that happy onto you, check the end of this post for a rad giveaway! I’ve always loved Robin’s books, all the way back to Audrey, Wait! But let me tell you, Far From the Tree is the best thing she’s ever written. I could not put this book down. It was so full of emotion and heart, and it had me crying both happy and sad tears. I really felt connected to these characters and their story in a way I haven’t in a long time. Trust me when I tell you that this is a must-read. This one is out on October 3rd, but you should go ahead and preorder it. Trust me, give your future self a gift. Sad you have to wait until October for Robin’s new book? No worries, because this one is out on May 9th. Yep, you only have to wait a couple more days to get Julie Murphy’s new book in your hot little hands. And it’s definitely one you don’t want to miss. My favorite thing about Dumplin was how real her characters felt, like they’re still off living their lives in Texas after the book ended. 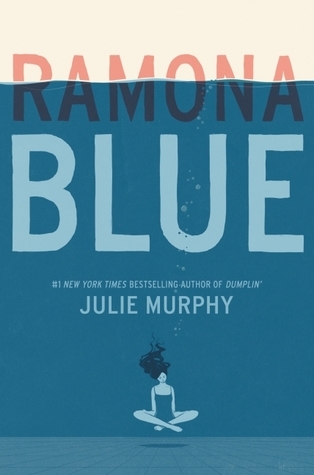 Those people felt real, and Julie brings that to Ramona Blue. The entire cast of characters, from Ramona and Freddie all the way to Agnes and Hattie and Saul and Ruth seemed like people Julie spent months observing as they moved through their lives. I loved this book, and can’t wait for you to read it, too! And now … a giveaway! Head on over to my Instagram and follow the instructions (a simple like + follow + comment) to be entered to win! I’ll draw a winner on Sunday at 5pm EST. Contest is US only (sorry, shipping is pricey!). So don’t wait, enter now! As for me, I’m in the home stretch of this whole pregnancy extravaganza, and trust me when I say … I’M READY FOR HIM TO GET HERE! Ok, so I don’t quite have the baby room finished, and I have one last stripe to crochet in his baby blanket, and I still need to dig some of Freddie’s old stuff out and wash it. So maybe not totally ready, but close enough. I’ve got diapers and a place for him to sleep, so as far as I’m concerned, GET. THIS. KID. OUT. I’m feeling enormous amounts of pressure in my hips and pelvis, the braxton hicks contractions are frequent and uncomfortable, and if I drop something on the floor, it lives there now. I’m huge and tired and ready to hold this kid in my arms instead of nestled against my bladder. I’m trying not to get my hopes up that he’ll come early (as many second babies do), because Freddie was 4 days late and those last 4 days felt as long as the whole pregnancy. But still, if he wants to come, anytime after next week, I’d be ok with that… hear me, kid? Listen to your mother. So what’s making you happy this week? What good books are you reading? What books are you looking forward to? Lemme know down in the comments! 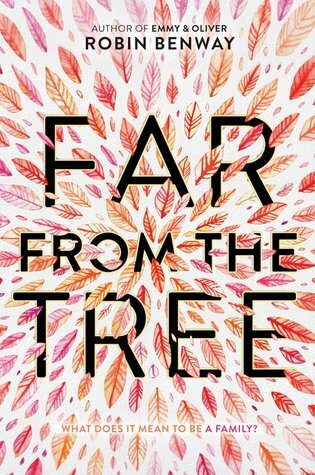 Ah the cover from Far From the Tree is GORGEOUS!